Password: Use your username given to you. 3. The Front Desk Tasks and Attendance Logging tabs of the Day to Day Operations Google Sheet. 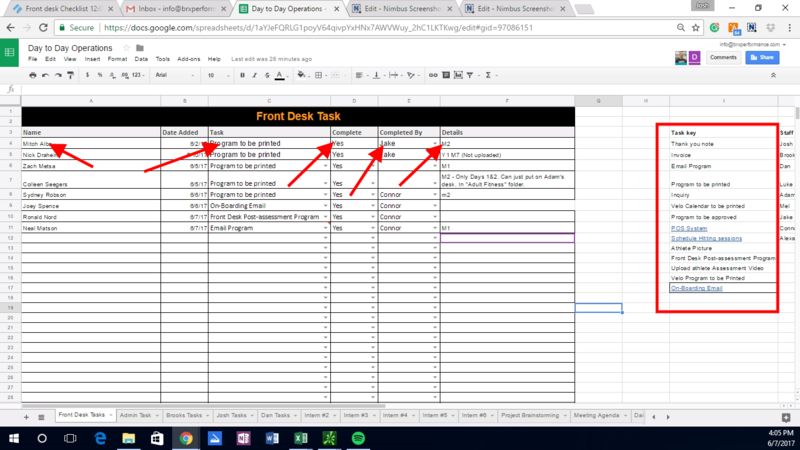 The Front Desks Tasks tab should be monitored every 15 minutesby the front desk or you will be notified via Google Hangouts when someone has updated the sheet. Name: Is the name of the client in question. Task: Is the assigned task to be completed. Important note: for each task, there will be a task key with a hyperlink. Clicking on this hyperlink will take you to a checklist with instructions on how to complete the assignment. 4. Google Hangouts - This doesn't need to be open at all times; you just need to know where it is. 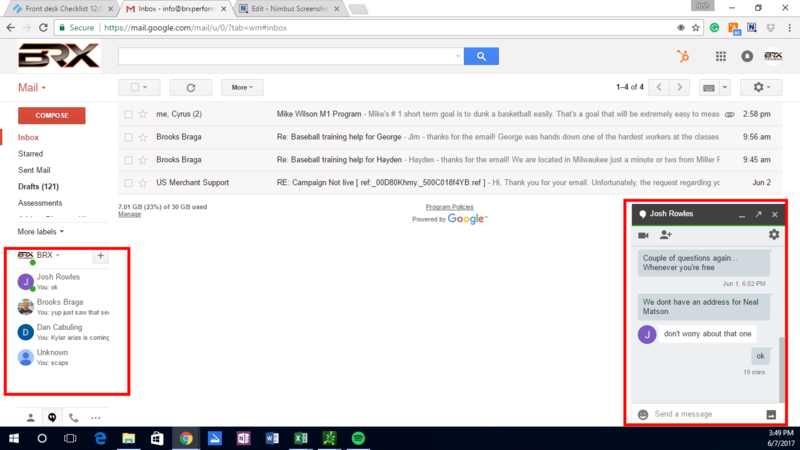 Google Hangouts is used to instant message staff members.